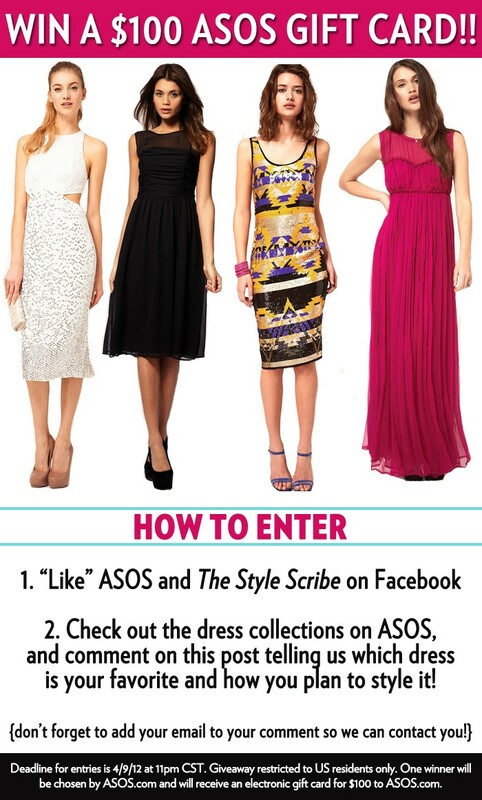 The Style Scribe has paired up with online favorite, ASOS, for a giveaway! Enter to win a $100 gift card to ASOS.com and it’s super easy to enter. 3. Look through the dress collections on ASOS.com, then comment on this post telling us which dress is your favorite and how you plan to style it! Deadline for entries is next Monday at 11pm CST – Good luck!